The famous Barasti Middle Deck has always been one of the city’s most vibrant bars! Boasting a vast outdoor seating area and Dubai’s biggest and best live sport big screen, it’s simply the best place to watch sport with a cool drink and bar snacks. Inside, live music is on throughout the week with plenty of seating for sundowners, food and a fantastic night out. Barasti On Tour is back this 2019! Barasti On Tour returns again this year giving you the chance to win an incredible all-inclusive trip to Belgium's BIGGEST EDM Festival! We're giving away 10 tickets including flights and accommodation to Belgium so be sure to take part to WIN! Last year, the group went on an all-inclusive trip to New York with Virgin Atlantic. 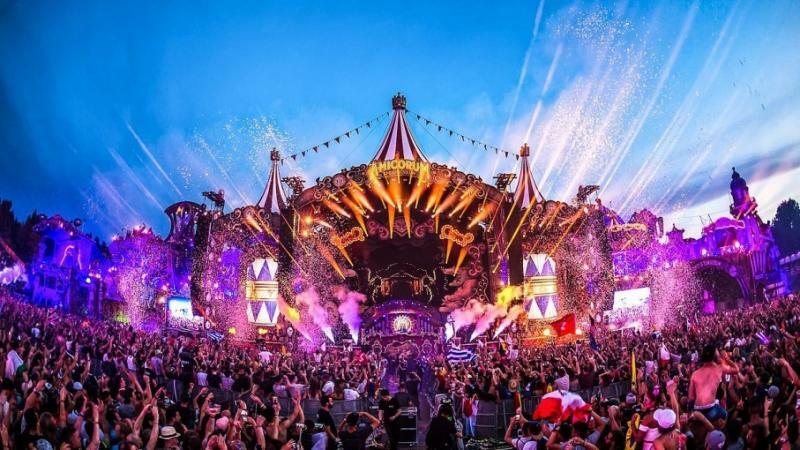 This year, we're going even BIGGER with an all-inclusive trip to Belgium's BIGGEST EDM Festival. Do you want to be there with your friends? Then head down to Barasti and purchase as many bottles of Budweiser as you can to fill out a raffle form and fill the tombola with your entries! The more raffle tickets in the tombola, the better your chance of winning that trip to Belgium! 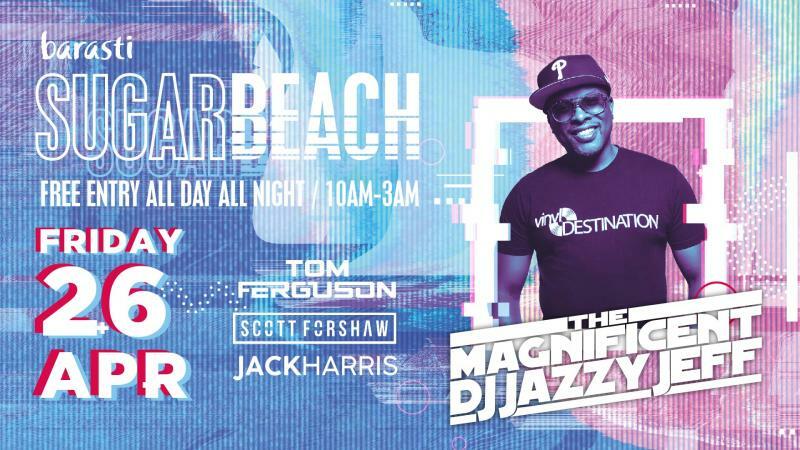 Take a refreshing dip at our pool, get that summer glow by the beach while dancing to the hits of our resident DJs Tom Ferguson, Scott Forshaw, and Jack Harris before hitting the Barasti Beach stage with The Magnificent DJ Jazzy Jeff! FREE ENTRY as always! Best known for his work with partner Will Smith ‘The Fresh Prince’, the multiple award-winning DJ Jazzy Jeff and Summertime hit-maker is a force to be reckoned with. A DJ and producer, he travels the globe to perform, taking fans on a musical journey with each set. Bring your friends, dance in the sand, and enjoy this epic bash with DJs Tom Ferguson, Scott Forshaw & Jack Harris to pump up the whole day! FREE ENTRY as always! Get 50% off to and from Barasti with your Careem ride using the code, "BARASTI". It’s time to sip and sway to endless sunsets and tropical breezes at Barasti Beach! Head on down to our Tiki'tastic all-inclusive weekday Tropical BBQ Party and enjoy a night of free-flowing house drinks and BBQ treats! You won’t forget this wild evening of musical guilty pleasures with the best throwback tracks of the 80s and 90s. Luxurious, sun-blessed sessions of sublime pool lounging every Sunday, Monday & Tuesday from 10AM. Pick out your favourite bikini and join us with your favourite chicks for the best Ladies Pool and Beach Days in Dubai! It’s FREE entry as normal, all girls receive free-flowing frozen rosé grape, towels for the sunbeds are free and even better, there’s 50% off our delicious food and beverage menu and 50% off water sports!